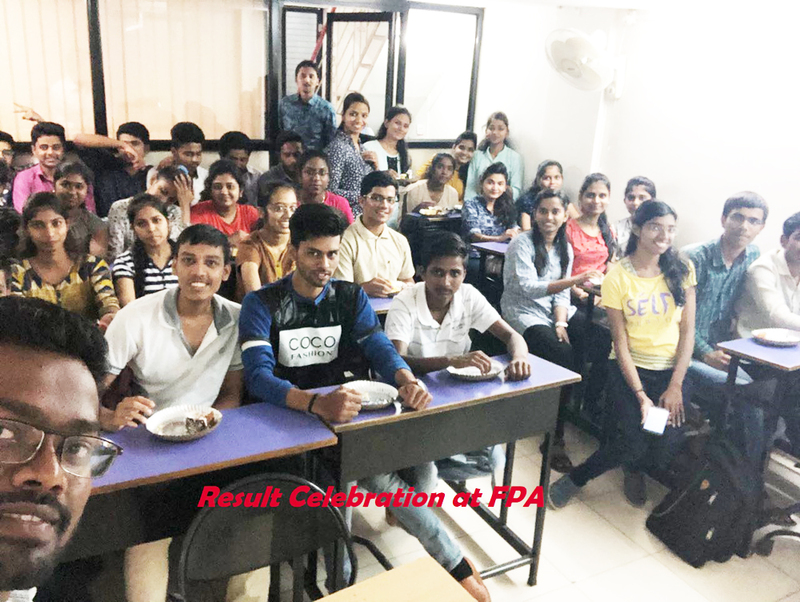 THE FUTURE PROFESSIONAL ACADEMY FORMED IN 2012, FUTURE PROFESSIONAL ACADEMY (FPA) IS TODAY A WELL KNOWN INSTITUTION FOR ASPIRING CHARTERED ACCOUNTANTS & COST ACCOUNTANTS IN PCMC. We believe in respecting time invested by every student & the money & emotions invested by their respective parents. CMA (Certified Management Accountant) certification has been the global benchmark for management accountants and financial professionals. 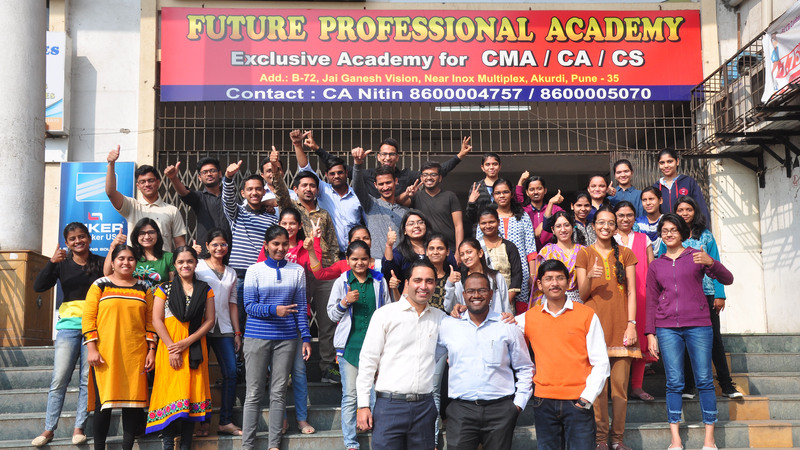 Future Professional Academy Commerce has mastered the formula for success in commerce, coaching 20000+ students every year. The Program Design tutorial is designed to teach candidates pursing the CPT distinction how to use the CPTN program design templates. Company secretary are required to be appointed by those companies who's paid up capital is of Rs.50 lakhs according to the Companies Act. I have clerared both group from Future Academy...thanks a lot for all the faculties..
A very professional academy that lives upto its name. Notes for studies personally made by the teachers, solving previous year questions, regular tests and revisions, limited number of students in a batch, convenient class timings and air conditioned classroom. Teachers are very sincere, friendly and give attention to each student. 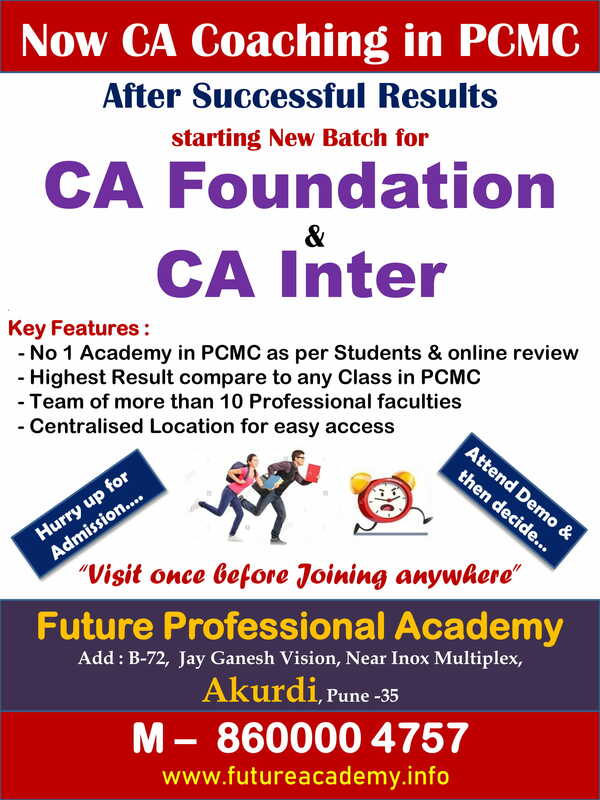 Excellent Classes & Highly qualitifed & dedicated Faculty. Excellent Classes & Highly qualitifed & dedicated Faculty.Teachers are very sincere, friendly and give attention to each student.